no heading OOOOOOOXXXXXXX Bearhugs! 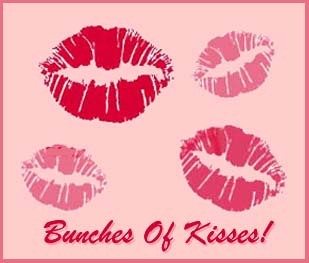 Bunches of Kisses Heart Hugs! Hugs! 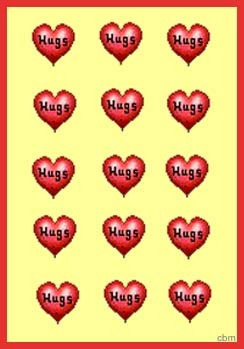 Hugs & Kisses! I Want To Kiss You All Over Intimate Kisses! Kisses! Miss'n Your Kiss'n! Need A Hug? Smoochies! Would A Hug Help? A Dream Is A Wish Your Heart Makes Always And Forever Are You Lonesome Tonight? Cheer Up! Come Share My Love and My Life Congratulations! Dare To Dream Don't Worry, Be Happy! Do You Know Dream A Little Dream of Me Feel Better Soon Forgive Me From My Heart Good Luck Good Morning Good Night My Love Good Night Hang In There Happy Anniversary! Happy Birthday! Have A Happy Day! Have A Great Day! Have A Fun Weekend! Have A Safe Trip Hello Hey! Hi! How Are You? I Believe In You I Need You I Want You I Like You! I Love You! I Love You So I Miss You I'll Meet You In My Dreams. I'm Sorry I'm Very Proud of You! It's Just Me It's Your Special Day! 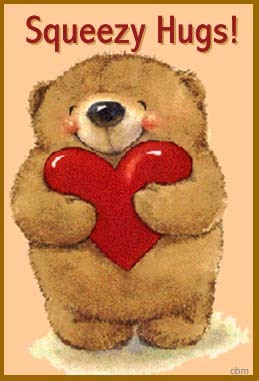 Just Because Lonely Without You Love Ya! Love You! Me again! My Heart Belongs To You Only You Our Love Is Magic! Take Care Thank You Thinking Of You Until Tomorrow Until We Meet Again We Share The Same Dreams What Would I do Without You? Wish I Was There Wish You Were Here You Are Always On My Mind You Make Me Happy Your Love Soothes My Soul You're My Best Friend You're My World You're Special You've Shown Me A Whole New World Will You Marry Me?